After enjoying last week at home, the No. 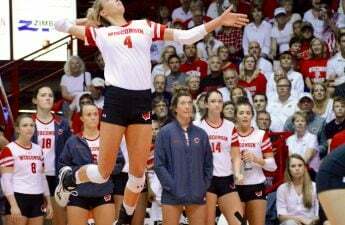 8 University of Wisconsin Badger’s volleyball team will travel to Maryland and Minnesota this week for matches on Wednesday and Saturday, respectively. The Badgers were finally able to snap a three-game losing streak by defeating Nebraska and Indiana. 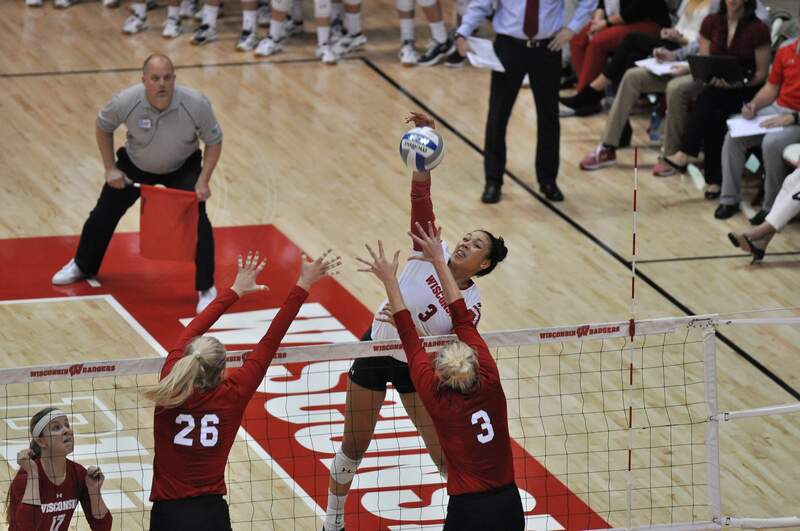 Earlier in the season, the Badgers had traveled to Nebraska, and after taking the first two sets, they dropped the next three and lost the match. For the second go-a-around, the Badgers were determined to get a win. They defeated the No. 4 ranked Huskers in front of a sold-out UW Field House crowd. 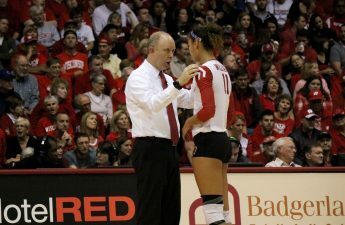 On Friday night, despite letting the Hoosiers hang around, they were able to get the job done in three sets. Maryland (3-5 Big Ten), along with Rutgers, is the newest addition to the Big Ten Conference. Because of this, they’ve had a few adjusting years as they’ve transitioned into the country’s best volleyball conference. The Terrapins are coming off a 1-1 weekend, where they beat Northwestern in five sets, and fell to Illinois in three. Each season they have continued to progress, and have begun to settle in for the high level of play. In 2016, they had the 16th ranked recruiting class in the country, and this year they signed six players, four of whom are Under Armor All-Americans. This gave the Terps the 10th best recruiting class in a country, a big feat for a team that only won two conference games last season. Unfortunately for Maryland, six of the top recruiting classes are in the Big Ten, which makes it hard to get ahead. But with time, the Terps should make a home for themselves here. If Wisconsin can go to College Park and play clean fundamental, volleyball, they should not struggle too much against Maryland. Minnesota, on the other hand, will be more of a challenge. Earlier in the season, the Gophers came to Madison and beat UW in a five-set heartbreaker. Minnesota is led by junior setter Samantha Seliger-Swenson, who earned Big Ten Setter of the Week last week, after leading her team to victories against Purdue and Iowa. Senior libero Dalianliz Rosado has been a four-year starter for the Gophers and a part of two Final Four teams. She makes it difficult for opponents to score on her. Despite being young up at the night, the Gophers are still getting the job done. Notably, sophomore outside hitter Alexis Hart is coming off a performance that got her named Big Ten Player of the Week and is currently averaging 3.58 kills per set. Wisconsin has lost each of the last five times they have faced Minnesota, and The Pavilion is a tough place to play. 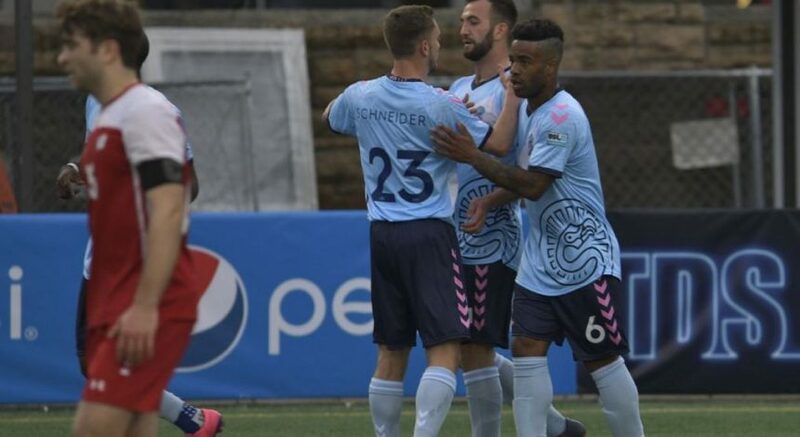 Whichever team can serve the toughest and minimize errors at key points in the match should find themselves victorious at the end of the night. Wisconsin heads out to Maryland on Wednesday, taking on the Terms at 5 p.m. The No. 8 Badgers and the Gophers will have a showdown on Saturday at 7:30 p.m., and fans should head on over to BTN to watch an exciting series.